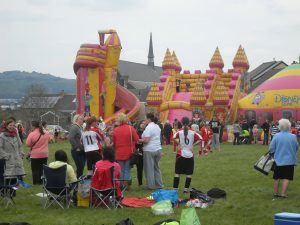 In 2018, the Melincryddan Events Committee produced a wonderful May Day event, thoroughly enjoyed by our community members and visitors from the surrounding areas. It was a lovely opportunity for people to meet, children to enjoy and a great day of fun for all involved. Here at Melin Community Trust, we really do admire the hard work and the time dedicated by our community members and would very much like to continue the tradition of community events. To enable this, we are now recruiting Eventeers! We are actively seeking Event Volunteers with good organisational skills, dedicated and seeking an exciting challenge. The funds raised in the Mayday event contributed hugely to the Christmas Lights initiative, where the community of Neath were able to light up our community with the beautiful Christmas lights display. These events really do have a hugely positive impact on the community, the time and efforts dedicated by our volunteers really are appreciated.